I like to write about things I am very interested in and excited about. Presently, I'm pretty excited about cloth diapers. We've been full time cloth diapering for several weeks now and I like it a lot more than I ever expected to. In fact, I feel pretty stupid for not switching sooner. I know it will change some when we introduce solid foods, but we'll cross that bridge when we come to it. Right now, I'm just thrilled at how easy it is, how cute and colorful everything is, how much less garbage I have to walk out of the house every day, and that I got to cancel all my Amazon diaper subscriptions. Shortly before making the switch to cloth I saw this image in a Facebook community. It's from a display at The Giggling Green Bean, via DirtyDiaperLaundry. I wouldn't call myself a tree-hugger, though I do believe it's our responsibility to steward God's creation well. But this image made me feel a little sick, and it's just an illustration of one year's worth of disposable diapers. We've had 6 year's worth pass through our home so far, and our diapering days aren't over. There are probably good reasons not to cloth diaper, but I didn't have one. I was just afraid of the extra laundry. This image helped me get over my laziness a little bit, and I've discovered the laundry really isn't that big of a deal. The cost savings over time is pretty significant, especially if you can use your diapers for more than one child. Here's an infographic that summarizes some of the other switching points nicely. I'm really grateful that I was able to see some cloth diapers in person and get a bunch of my questions answered by a few good friends that do it before I made the switch myself. If you're reading, ladies--thanks again for all your help and recommendations! I'm hoping that by writing this post I might answer some questions for someone else. I made the switch in 5 steps. This really is the hardest part of cloth diapering. Getting started can be overwhelming. As I mentioned, I had some friends that answered a lot of my questions and directed me to some great resources. I also joined a number of Facebook cloth diapering communities and just read, read, read and asked a few questions that were promptly and helpfully answered. Cotton Babies has a great group of Cloth Diaper 101 articles, as does Kelly's Closet. 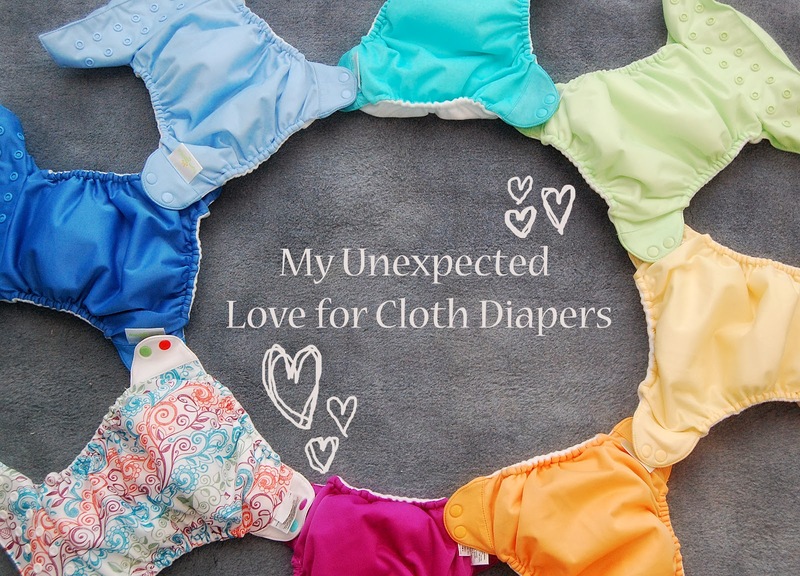 My friend Shauna of His Frugal Servant directed me to a few comprehensive posts at Kitchen Stewardship that discuss the kinds of cloth diapers available, the vocabulary, the wash routines, and other tips for getting started. Dirty Diaper Laundry is a wonderful resource for all things cloth diaper related too. There are many, many different options for modern cloth diapering. More brands, colors, and fabrics than you can wave a wipe at. I settled on two kinds for our family: prefolds with covers, and pocket diapers. I was drawn to prefolds because they are made of natural fibers and are one of the easiest options to wash and dry. The waterproof covers can be reused as long as they aren't soaked or soiled, cutting down on laundry and wear and tear. I went with Imagine SmartFit small unbleached cotton prefolds, which I'm simply tri-folding and laying in the covers. The sized prefolds mean less bulk in the diaper and fewer folding steps. They fit perfectly in my covers. I chose Thirsties Duo Wrap covers in size 1. The double gusset is great and holds everything in. I've had ZERO blowouts in cloth diapers. None. It's amazing. The one time I had leaking it was my own fault for leaving it on baby too long; the prefold had simply reached maximum saturation. Anyway, these covers are great. We will have to buy the size 2 covers and larger prefolds when our daughter hits about 18 lbs, but the two sizes mean a more customized fit. I also bought a number of pocket diapers. BumGenius is the preferred brand among my friends, and I love them too. I went with the 4.0 pockets rather than all-in-ones because pockets allow you to customize absorbency. They also dry faster. 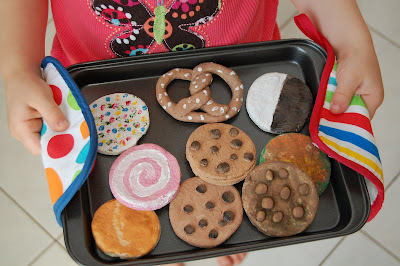 You can use just about anything to stuff pockets, and although these come with microfiber inserts, lots of people stuff with prefolds, receiving blankets, or flour sack towels, which are all inexpensive and absorbent. Yeah, they are majorly cute. I bought all gender neutral diapers so that I can use them again if we ever have another boy, but I couldn't resist this one more feminine pattern--Lovelace. There are sets of snaps on the rise and waist to allow these diapers to fit from 7-35lbs. They are a little less intimidating looking than the prefold and cover system, and also easier for on the go changes. I like them for the diaper bag and for nighttime. I hear caregivers and nursery workers find them easy to figure out. I went with snaps for all my diapers because the overwhelming consensus is: snaps just last longer than aplix (velcro). And toddlers can't pull them off. Picking out diapers is really fun. At least, it was for me. In addition to 2 dozen prefolds, 6 covers, and 6 pocket diapers (to which I later added 2 more covers and 2 more pockets), I bought two Planet Wise pail liners, a medium Planet Wise wet bag (for storing dirty diapers when we're out and about), some cloth-safe diaper creams (traditional creams can cause repelling issues), a Snappi (which is a fancy pin for prefolds and flats I haven't needed yet), and a SimpleHuman trash can with a locking lid to hold dirties until wash time. The pail liners fit it perfectly, and when wash time comes, I take the whole bag to the laundry room, dump in the dipes, then throw in the bag. Everything gets cleaned and I never have to touch the yuckies. I also bought 4 Thirsties hemp inserts and 12 Imagine microfleece liners. The inserts go behind the prefolds or microfiber for extra absorption (I use them overnight), and the liners go on top. I don't use them with every change, but they are so soft, create a stay-dry feel, and wash up wonderfully. I bought almost everything from Nicki's Diapers. The BumGenius 4.0s came from Thanks Mama during a buy-5-get-1-free sale. And later, I bought two more at BuyBuyBaby using the $5 off $15 coupons. Usually it's worth buying from just a few places as most cloth diaper stores have rewards programs that give you money back to spend at the store when a certain total is reached. Retailmenot also had several active coupon codes for Nicki's. The cost for all this (including the items that aren't actually diapers, like the pail) was about $350. Figuring about $45/month for disposables (we always had the best luck with the name brands--Pampers or Huggies), this stash will pay for itself in a little less than 8 months. Cloth diapers need some prepping before you can use them. For covers and microfiber, one wash on hot is all that's required. For the natural fibers--the cotton prefolds and hemp inserts--several washes (between 4 and 8) were necessary for them to reach their maximum level of absorption and rid them of natural oils. The first few changes I fiddled with snaps a lot, trying to find the best fit on my peanut. Now that I know where to snap, changes don't take any longer than they did with disposables. Since my baby is still nursing exclusively, I don't have any extra steps between taking the diaper off and throwing it in the pail. When we start dealing with solid food poos I will need to scrape them off into the toilet before laundering. Right now, everything comes out in the wash, easy-peasy. We've gotten a great fit on our daughter with these diapers, and though she doesn't seem to care what she's wearing, they ARE a lot nicer feeling that sposies. Disposable diapers feel like napkins to me now. Changing diapers about every 2 hours during the day, I wash every other day, every two days at the most. One extra load of laundry a few times a week has not been hard. Wash routines are much discussed in the cloth community, and I've never been more grateful for my not-fancy workhorse washer and dryer. People run into all kinds of problems with HE machines not using enough water, tearing up diapers, and other things I don't have to worry about. I wash my diapers with the suggested amount of Ecos Free & Clear, and the highest water level. I do a cold pre-rinse, wash on hot with the detergent (adding 1/4 c. bleach once a month as suggested by BumGenius), and do one extra rinse. So far, so good. I also tried Nellie's Laundry Soda and it didn't work at all for my diapers. It didn't get them clean--which might have a lot to do with our hard water. The Ecos seems to be working well, and is dirt cheap (about $.14 a load when I buy it from Amazon). Though almost every cloth diaper site recommends special detergents for your diapers, there are plenty of people that say that Tide Original Powder is the way to go because it gets stink out like nothing else. I'll continue to use Ecos unless I run into issues; I like that I can also pick it up locally in a pinch. UPDATE 1/29/14 - I've learned some things about detergent since writing this post, and now use powdered Tide Free & Gentle exclusively--both for the kids' clothes, and our diapers. It does an excellent job of removing stains and odors when used in an amount appropriate for the load size (to line 2-3 for 2 days worth of diapers). Conflicting information about wash routines was so overwhelming for me, so this is the simple washing advice I wish I'd had from day 1: if you're starting your cloth diaper journey, I'd recommend trying whatever you like to use on your regular laundry before buying something special for your diapers. Just make sure it doesn't have any synthetic fabric softeners. I like to avoid scents as my kids have sensitive skin and I want to make sure diaper smells are actually eliminated in the wash, not just covered up, but that is a personal preference. I know some people just love using Gain in the Apple Mango Tango scent. :) Commercial detergents really do the best job; specialty diaper detergents do not contain sufficient surfactants to rid diapers of human waste and I believe they are more of a money-making scheme by diaper companies than anything else. Homemade detergents lack surfactants as well, but those containing fels-naptha or other soaps may also give you problems with build up in the long run. Soap is not the same as detergent, and soap can build up (think soap scum in your shower). Build up on your diapers from soap, insufficient cleaning, or fabric softeners can trap filth and cause rashes and stink. Many people switch to cloth diapering with a desire to be eco friendly and "chemical free," but I see continuous exposure to waste as a much bigger issue than washing with Tide, so I'm going with what works. Water level is also important. When washing diapers, aim for a "stew like" water/diaper ratio in the wash tub. In other words, there should be enough diapers to agitate against each other, but not so many they can't move around. Note that this washing advice (using your favorite mainstream detergent) will void the warranty of some diapers. I've decided that doesn't matter to me--a warranty on a clothing item doesn't make a lot of sense in my mind--but you have to decide what's right for your investment. I line dry covers and pockets, use the dryer for prefolds and inserts. The sun is great at busting stains and is free, so I have also dried outside on a rack a few times. I'm considering moving to cloth wipes at some point too, as it really is a pain to throw the disposable wipes in a separate trash can when doing changes. Cloth wipes get cleaned right along with the diapers. Just haven't done that yet. I never really thought I'd be taking glamor shots of diapers OR singing their praises, but there you go. I'm a cloth convert, and pleased as punch about it. You can read the next update on our cloth diaper journey here. Just something to note, especially for those just starting out in the CD journey- many detergents WILL void your cloth diaper warranty, so double check with the manufacturer before you use just any detergent (if warranty is something that's important to you!). The reasoning is because enzymes, brighteners, dyes, fragrances, softeners, bleaching agents- all can damage the materials often used in cloth diapers. You'll likely notice an impact on the elastic or the weave of the PUL material first (as I did when I was using ALL free & clear- military edition), if you have a problem with one of these additives. Water hardness & temperature can also affect these though, so it'll likely just take a while to figure out what works best for you. We use Econuts (a brand of soap nuts), and I stand by them :) They get out even the hubby's ground in Army stains & odors, we've never had a problem with build up (soap nuts are different than "pure soap"), and most importantly, rarely have a problem with rashes (and when there are rashes, we've generally found they're related to teething or something acidic in the wee one's diet). They also don't negatively affect the environment like most detergents (if that's something that's high on the priority list). Some detergents unfortunately don't always wash out cleanly, and are causes of build up in diapers as well. For example, although like you said a lot of manufacturers will recommend Tide free & clear, my family's actually never been able to use Tide because it gives us all rashes- so something's getting left behind in the fabric! Go figure! Anyways, everyone will have to find what works best for them- it's definitely a bit of a balancing act finding the best wash routine! :) I agree though, if your current detergent is approved by your cloth diaper manufacturer, there's really no need to buy a special new brand just for diapers! As long as baby's bum approves too, it's certainly easier to have one detergent for everything!! I use cloth wipes, and they are great! I think it's worth getting. I've been doing cloth diapers for almost 10 years now. I'm sure we could have some fun conversation about cloth :) Oh the stories! !